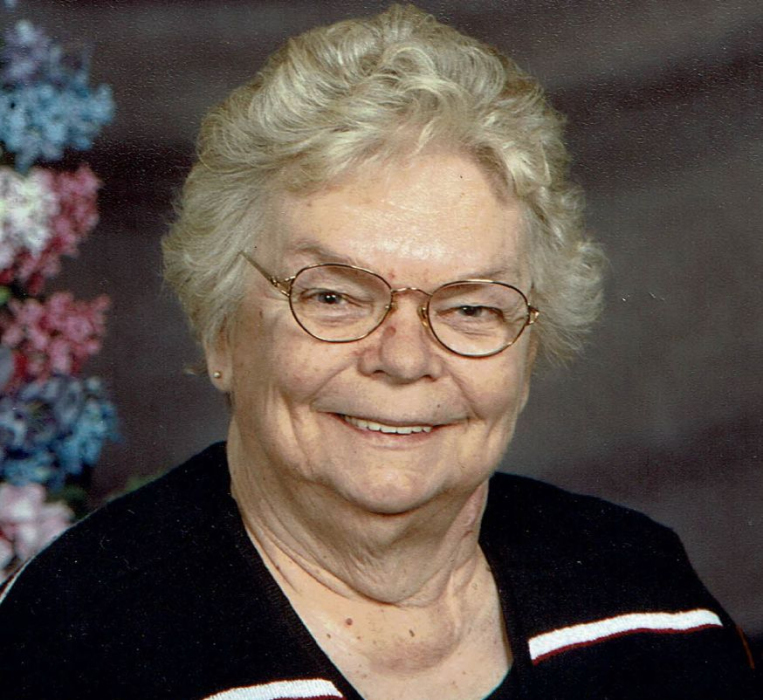 Patricia “Pat” L. Robertson, age 79, of Watkins died on Monday, September 10, 2018 at the Hilltop Care Center. Funeral services will be held at 12:00 PM on Saturday, September 15, 2018 at the St. Matthew’s United Church of Christ in Forest City. Visitation will be from 10:00 AM until the time of service at the church. Patricia “Pat” Louise Robertson was born on June11,1939 to Harold and Gladys Kowalke. She grew up near Montrose, MN on the farm and attended country school. She graduated from Buffalo High School in 1957 where she was active in plays, sports, and 4H. After graduation she attended and graduated from Glenwood Hills Hospital School of Nursing in 1958. She married the love of her life William Robertson on June 13, 1959. Pat and Bill were active in many activities while living in Buffalo such as the Snowmobile club, Miles Square club, 500cardclub, and church. Pat worked periodically for the census bureau and a fabric wholesale company. In 1974, Bill and Pat along with their four kids moved to the farm in Watkins. Pat spent many hours in the garden, canning and freezing food, sewing, knitting and crocheting, putting together puzzles, and entertaining family and friends during the holidays. Pat was an active member of St. Matthews UCC church and a member of Women’s Fellowship and served as a Youth group advisor. In 1984, Pat started working for Litchfield Community Homes as an aide and later transferred to working as a county health aide until the summer of 2000. In the winter of 2004, Pat moved to the Watkins Manor and was on the tenant council and continued to be active in many social events. Pat moved to the Watkin’s Nursing Home in the fall of 2017 where she enjoyed baking, card playing, bingo, and social activities. Pat enjoyed time with friends, family, and especially the great-grandkids. Patricia was preceded in death by her husband Bill, mother Gladys, and father Harold. She is survived by her siblings Connie, Charity, and Tim; her children Terry and Joy Robertson of Lusby MD, Ralph and Debbie Donnay of Albany MN, John and Danita Piepenburg of Litchfield MN, and Amy Robertson of Litchfield MN. Eleven grandchildren: Tom (Piroska) Robertson, Jaime (John) Schlangen, Steve (Anna) Donnay, Mike (Megan) Donnay, Ben Donnay, Ashly Piepenburg, Kelsey (Craig) Robertson, Molly (Chris) Piepenburg-Watson, Kristina (Brian) Weyer, Kim Donnay, Jacob (Dawn) Robertson, Kayla (Neil) Primus; 13 great-grandchildren Jason, Jake, Briahna, Lincoln, Spencer, Preston, Ryann, Remington, Liam, Noah, Josy, Lucas, Marissa and Faith.